This publication describes private water supply protection in oil development areas and legal implications and what tests are needed for legal protection. As oil development expands in North Dakota, private water well owners may be concerned about the quality and quantity of water they use or may use in the future. Baseline testing on water should be done two to 12 months prior to oil activity near your home or near water sources for livestock, and again two months after drilling. Whether you do additional testing in the first year after drilling begins depends on the level of drilling activity and how often you can afford testing. Initial sampling should be collected by a third party using proper “chain of custody” collection methods and analyzed by a certified laboratory to provide you with legally admissible results in case you have pollution concerns in the future. If laboratory results detect increased levels of chloride, bromide or other parameters, additional testing is appropriate. If the water quality parameters fall below USEPA maximum contaminant levels (MCL), the homeowner can do the annual testing, which will reduce the cost of sampling. Once you have baseline tests that show your water quality to be suitable, you also can reduce costs by purchasing an inexpensive total dissolved solids (TDS) or conductivity meter from an online supplier for $50 to $100. These meters allow the water supply owner to measure the total amount of dissolved minerals in their water quickly and easily. Large increases in the TDS or conductivity in conjunction with nearby gas drilling activity would warrant follow-up testing by an accredited laboratory. State-certified laboratories are listed in NDSU publication WQ1341, “Drinking Water Quality: Testing and Interpreting Your Results” and can be contacted to schedule water sampling, if that service is available. If you are doing your own sampling, you can request sampling bottles and special instructions for handling requirements or preservatives from the same laboratories. Keep in mind, a water sample collected by the well owner is not a legally acceptable sample. 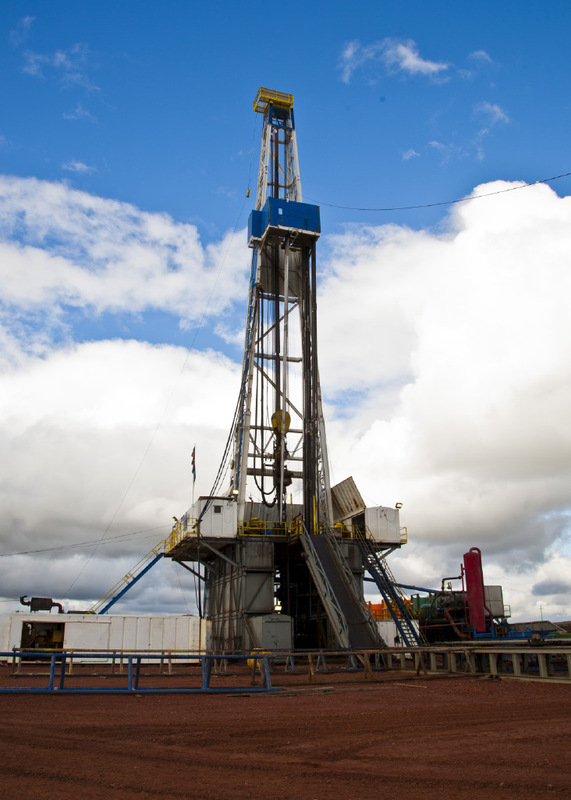 Diminished or lost water supplies resulting from oil well drilling have occurred but are rare. When this does occur, it is usually an obvious, complete loss of water, rather than a subtle decrease in water yield. To determine the baseline condition of your well, an evaluation of the well or spring is necessary. Most laboratories can refer you to professionals who can make these determinations for you. Additional charges for certifying the flow of your well or spring and/or the level of water at your well typically run from $800 to $1,000, depending on the location and number of wells or springs. These prices also vary with the level of water quality testing, the number of sites sampled and the distance the sampler travels. Mileage charges may be reduced if you schedule multiple stops in conjunction with neighbors. Your state-certified water testing laboratory can assist with selection of water quality parameters and many offer standard test packages that relate to oil drilling activities. Keep in mind that testing for all of the possible contaminants will be costly (many hundreds of dollars for the tests alone). Basic parameters – Request a complete mineral chemistry plus barium and bromide. The emphasis of this group is on parameters that are most likely to change if drilling affects ground water and provides some legal protection at a minimal cost. A complete chemistry may include calcium, magnesium, sodium, potassium, iron, manganese, pH, conductivity, chloride, sulfate, bicarbonate, carbonate, nitrate + nitrite, total dissolved solids (TDS), hardness, cation sum, anion sum, sodium percentage, sodium adsorption ratio and fluoride. Additional tests – These are more expensive, but may increase legal protection. Additional tests might include diesel range organics (DRO), selenium, strontium, trace metals and nutrients. For an explanation of these tests, see “Water Quality Terms” at right. More comprehensive testing will determine levels for additional pollutants, which also means more expense. This group includes volatile organic compounds (VOCs) and semi-VOCs. A third party must be used to sample your source water to have a legally admissible water quality report. Trace metals: The term usually is applied to common transition metals such as copper, lead and zinc. The term “heavy metal” has been used as a general term for metals with potential human or environmental toxicity. Toxicity is rare with the exception of iron or lead toxicity. While the body needs some metals, the human benefit of others is unknown. Nutrients: This group includes ammonia, phosphorus, nitrate + nitrite, total nitrogen and total Kjeldahl nitrogen, all of which provide nutrition for algae and other plants. These nutrients may be applied to agricultural crops and urban lawns or be leached through the ground or via surface runoff because of septic system failure, livestock waste and compost piles. Anion and cation sum: This sum is a check of the analytical accuracy of the data. The anions (negative ions) and cations (positive ions) should be relatively equal. Sample contamination, oil or solids can interfere with the anion/cation balance. Major contributors to the anion sum include alkalinity, chloride and sulfate, and for cations, they include calcium, magnesium and sodium. These are not indicators of water quality. VOC: Volatile organic compounds are a class of chemicals that have important properties in common. They evaporate or vaporize readily (they’re volatile), and they contain carbon (they’re organic). When present in water at low concentrations, some VOCs produce a sweet, pleasant odor. Drinking water containing high levels of volatile organic compounds may be harmful to human health, causing central nervous system depression. DRO: These are diesel range organics and their byproducts; the acronym commonly is used to refer to heavy-weight hydro-carbons such as diesel fuel, mineral oil and motor oil. Arsenic: It is an odorless and tasteless semimetallic element. It enters drinking water supplies from natural deposits in the earth or from agricultural and industrial practices. WQ1341 It’s All In Your Water, Drinking Water Quality: Testing and Interpreting Your Results. WQ1352 It’s All In Your Water, What’s Wrong With My Water? Choosing the Right Test.